A new piece for the New Statesman which starts to explore converts, a project I have been trying to find time to work on myself separately. This is an off-shoot of a bigger thing looking at the phenomenon of converts in UK plots. Any thoughts or reactions on this topic, or pointers to others working on it would be very interesting and welcome. In two separate cases, white British loners found acceptance online among Islamic extremists and then attempted to detonate bombs. A block of flats in Plymouth where Nicky Reilly was thought to have lived. Presiding Justice Calvert-Smith declared that a twelve month delay on sentencing requested by the defence in the sad case of wannabe suicide bomber Nicky Reilly would not be acceptable last Friday. For many, the conclusion in this case seems to be that it was a one-off situation where extremists took advantage of a person suffering from Asperger’s Syndrome who had a mental age of 10. But while Reilly’s case is the most prominent to have reached the public imagination, thanks to the advanced nature of his plot, there are similarities to be found in other cases in the year preceding Reilly’s attempt. Nicky Reilly, aka Mohammed Rasheed, apparently initially converted to Islam at some point in his late teens for reasons that remain unclear. More recently he was in contact with individuals on the internet who apparently persuaded him to attempt to carry out a suicide attack in his home city of Exeter. After some debate online about whether to target a police station or the general public, Reilly went into the city centre in Exeter and attempted to construct an explosive device using plastic bottles and nails in a restaurant toilet. Fortunately for the clientèle in the Giraffe restaurant that he targeted, the volatile device blew up in his face before he could run into the main restaurant, leaving him the only casualty. Reilly pled guilty to the charges against him, and a note found in his bedroom by police apparently stated “I have not been brainwashed or indoctrinated. I am not insane. I am not doing it to escape a life of problems or hardships. I am doing what God wants from his mujahideen. 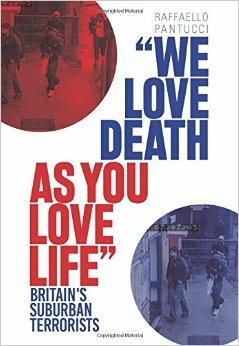 We love death as you love life.” While this last line is a famous quotation taken from a speech by Osama bin Laden, it seems as though Nicky Reilly had no connection to any known terrorist group or network beyond the internet. There were claims in the wake of the attack that he was on the periphery of another Security Service investigation and two men were arrested in the immediate wake of Reilly’s arrest, but one was immediately released and the other detained on unrelated charges. During the course of the case, it emerged that Reilly was apparently spurred into action by people he met on the internet, who pushed him down an ever more radical path and helped him figure out the logistics of what he was planning to do. While his family noticed that he was increasingly fascinated by more extreme form of Islam, it seems as though there was no particular trigger for his drastic action. Almost a year earlier, on May 8, 2007, Nicholas Roddis, a 22-year old man from South Yorkshire left a hoax bomb on a bus in a plastic bag with nails, wire, a bag of sugar, and a working clock along with a note in Arabic which claimed to be from the leadership of Al Qaeda in Iraq. Raiding his home a month later, police found bomb-making instructions, fuse wire, acetone and hydrogen peroxide (chemicals that it was widely reported were used in the July 7 attacks), along with sermons by extremist preacher Abu Hamza. While police said he had not actually converted to Islam, Justice Milford declared that he “had become an adherent of Islamic militancy” but concluded he was a lone fanatic. He was sentenced to seven years in prison in July of this year. Common in these cases is that the men are white converts to Islam who in relatively short order are alleged to have headed down a route to potential extreme violence in the name of Islamic extremism. They are described in the press as being relative loners, coming from broken and troubled homes, and it would seem as though for the most part their conversions happened virtually. Naturally, this background is not unique to these men, but it is hard not to miss the unfortunate similarities in these cases. In counter-terrorism parlance, these are described as “lone wolves” – individuals with no apparent connections to any known network or plot who apparently of their own volition attempt or succeed to carry out a terrorist attack. Parallels are often drawn with those who carry out school shootings or other random acts of violence, but these actions do not result in the same sort of elevation of the perpetrators as one sees with Islamic terrorists (aspiring or successful). There may be particular danger in these Islamic plotters: these social misfits find relief and meaning in an ideology that makes them a part of a global movement that portrays self-sacrifice and the deaths of others as the ultimate purpose. This is a problem that by itself will be almost impossible to counter: such individuals are by their nature hard to detect. But the question does have to be raised as to why these individuals are finding their voice in this violent Islamic expression – is it merely the loudest voice they are attracted to on the internet? Or is it that, as Justice Milford put it in his remarks at Nicholas Roddis case, “He is angry at the way he sees the world and the way it has treated him, he has found his focus in Islamic militancy. It is one of the dangers of this sort of terrorism when other people tag on to it for their own reason.” Either way, until we find a solution to the overarching problem, we are likely to continue to see such cases in our society.